The Henschke family invites 60 lucky guests to experience two of their most sough-after and collectable wines in an intimate dining experience. The Luxury Network Australia, Nanda\Hobbs and Simon Johnson are hosting an Evening of Cheese, Wine and Art. The Luxury Network Australia and The Westin Brisbane are hosting an exclusive evening of luxury and networking at The Westin Brisbane. 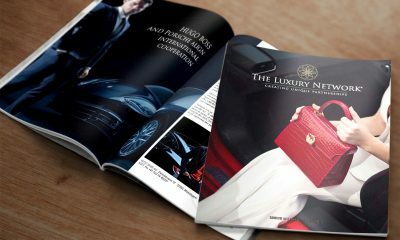 The Luxury Network Australia is hosting a get together to discuss all things business. An afternoon of conversation, food and wine with Chef Director, Ashely Palmer-Watts and David McAllister AM, Artistic Director of The Australian Ballet. VIP guests of the Australian Turf Club are invited to attend an exclusive function in the exciting new area at Royal Randwick – The Panorama. The Luxury Network Australia are hosting an evening onboard Superyacht Oneworld to celebrate the exciting partnership between Australian Superyachts and Aspen Ski Company. The Luxury Network Australia, Victoria & Maude and Luxury Boat Syndicates are hosting an evening of champagne and fashion onboard Riviera 6000. The Luxury Network Australia, Mercedes Benz, Pommery Champagne, and Elite Chefs Sydney are hosting an evening of luxury and networking.